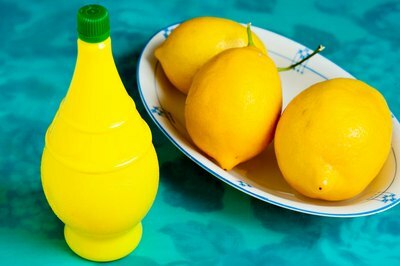 Bottled lemon juice offers a longer shelf life than fresh squeezed lemon juice. This is due to preservatives such as sodium bisulfate and sodium benzoate being added to commercially sold bottled lemon juice. On average, bottled lemon juices have a shelf life (or best-used-by date) of up to a few months clearly labeled on the caps or packaging label. Refrigeration is required after opening bottled lemon juice--it can store at room temperature prior to being opened because of the preservatives--and can still be used up to the "used-by" date. 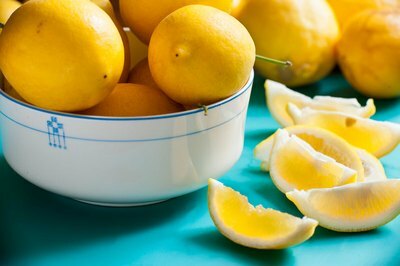 Although the "use-by" date is for quality assurance more so than an official expiration of the lemon juice, it should be used before the date labeled to optimize the quality and flavor of the product. Fresh lemon juice is much more vulnerable than commercially bottled lemon juice because it lacks the preservatives. To maximize the nutritional value of vitamin C in lemon juice, it should be squeezed and used immediately. Even one night in the refrigerator in a tightly sealed container will cause the vitamin C nutrients to decompose. The flavor of fresh squeezed lemon juice will be fine stored in the refrigerator for 2 to 4 days after squeezed. The citric acid of lemon juice is where it gets its zestful flavor. Vitamin C is an important nutritional ingredient in lemons. However, once squeezed, the vitamin C begins to break down quickly. Because of this, bottled lemon juice does not contain as much of the natural vitamin C unless a manufactured and added to the formula. Although bottled lemon juice lacks the nutritional value of fresh squeezed lemon juice, it contains an average 4 percent citric acid. Fresh lemons vary between 2.5 and 4.5 percent, depending on the time of year and the quality of the lemon. Both bottled and fresh squeezed lemon juice can be stored in the freezer. 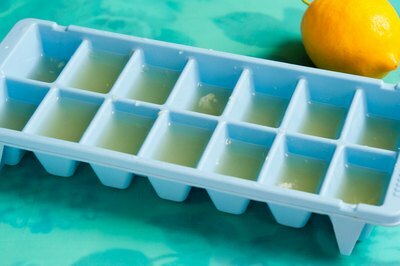 Many chefs will measure specific amounts of fresh squeezed lemon juice for recipes and freeze the amounts in ice cube trays. 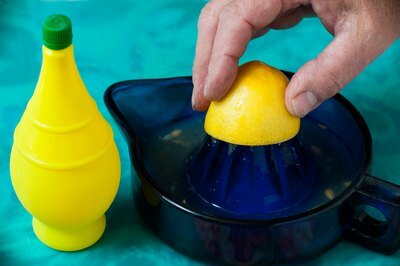 When they need to use the lemon juice, they simply thaw it out and add it to the recipe. The nutritional value of the fresh squeezed lemon juice will still be compromised, but not the flavor. Rarely is bottled lemon juice frozen, due to its longer shelf life, but it could be frozen to add a few more months to its shelf life if close to the "used-by" date. Fresh or bottled lemon juice can be stored in the freezer for up to four months.